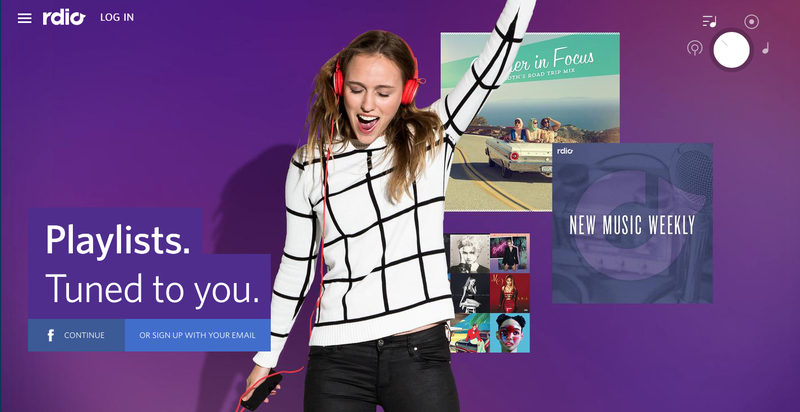 Whoa, this is surprising news: The music streaming site Rdio is filing for bankruptcy protection and handing over key assets to competitor Pandora. In addition to acquiring technology and intellectual property from Rdio, many members of Rdio’s team will be offered roles with Pandora, subject to close of the agreement. The company expects to offer an expanded Pandora listening experience by late 2016, pending its ability to obtain proper licenses. As Variety reports, Pandora gets the best of both worlds in the deal, since it doesn’t allow its users to listen to full albums, which is what services like the new Apple Music does. The hope—at least for Rdio fans—would be that Pandora would keep Rdio as-is, including preserving its well-designed interface, which has set it apart from other streaming sites. Both Pandora and Rdio have been bleeding money, especially in the wake of Apple Music’s launch, and both have been trying desperately to differentiate their services. Pandora has been devoting more attention to data collection to help improve its algorithm, and last month the company bought Ticketfly, a Ticketmaster competitor, for $450 million. Rdio recently offered a “budget streaming” alternative to help it compete more directly with Spotify.